"Cathy Block's vivacious personality coupled with her love and knowledge of children's music makes her a hit with our students. Simply put, Cathy rocks!!!" Music is Wonderful! 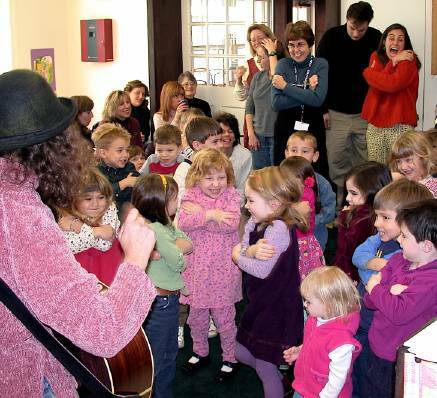 is a fun and interactive music class for preschool aged children from birth, to 5 years old, and is led by award winning composer/musician Cathy Block, who conducts each class playing guitar, banjo, and flute. Music is Wonderful! 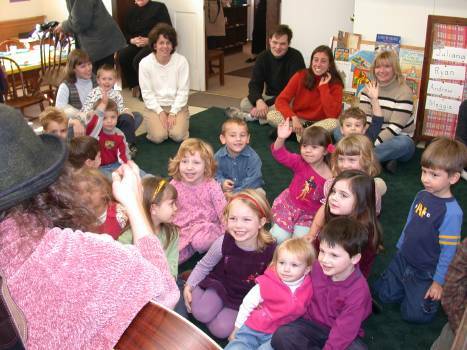 introduces the joys of music, and inspires the child's musical imagination. 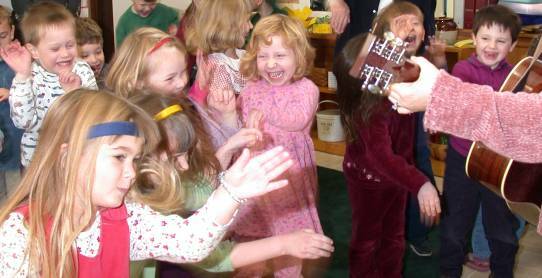 We sing songs together, dance together, and explore different instruments and rhythms, in a stress free and nurturing environment. We help open up the wonderful world of music, in a tender program, that encourages the parent/ care giver to participate along with their child. Music is Wonderful! has been created by award winning composer and multi instrumentalist, Cathy Block. Click here to download brochure & registration form as a PDF file. Click here to listen to excerpts of original songs from Music Is Wonderful!. Music is Wonderful! is now registering for Spring Classes which begin Monday, September 27th, 11:30 AM. Cathy Block has received the Editor's choice award from the American LibraryAssociation, Book List, for Children's Best Audio, as well as the Platinum Award from NBC Today show contributer, Toy Portfolio.com. She has also been praised repeatedly by School Library Journal. Her musical work with children has been extensive, and includes the formation ofThe Living Green Children's Chorus, which has raised thousands of dollars for land preservation in Bucks County. Her original musicals, which are aboutand star children, have been performedfrom Ohio to South Africa! Cathy's pop songs, have been recordedby legendary recording artists including,Diana Ross, Kool & The Gang, Al Jarreau, New Edition, and The Manhattans. Cathy has a bachelor of music degree,from Berklee College Of Music, and is the mother of 3 children. "Cathy Block and her Music is Wonderful! program have firmly planted a life-long love of music in my son. Her music is so fun and entertaining! Her approach is creative, imaginative and inspiring. Cathy encourages my son to express himself through singing, dancing, and playing music. She has taught him to appreciate music and all its beauty. This class has been a wonderful bonding experience for us! " "My 5 year old has been in Music Is Wonderful for two years -- we love the program because the music is beautiful and varied, and all the songs are original! Even my 12-year loves the music!" "We have been going to Music is Wonderful class since our son was 2 weeks old. Cathy truly has a gift in relating to children, and as a result my little boy has developed an appreciation for music in a way that I could not have taught him myself. 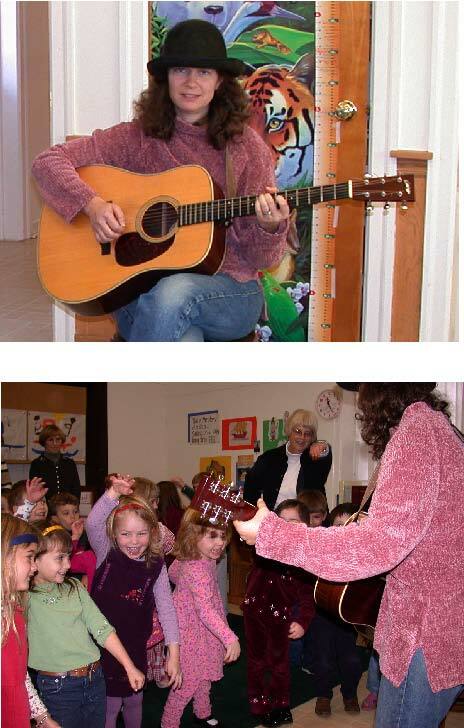 I have told all of my friends and family with young children that they must come experience the magic in Cathy Block's Music is Wonderful class." "Cathy is Versatile, and wonderful with kids! She exposes them to a wealth of sound, instruments, and experiences"